People, most of them, no longer dream about reaching the top of the corporate leader. They want freedom, flexibility, more opportunities, all things the standard 9 to 5 job doesn’t offer. Linchpin by Seth Godin ignites the entrepreneurial spirit and assists in setting the foundations for building something on our own. A book about you – your choices, your future, and your potential to make a huge difference in whatever field you choose. Factories and institutions need workers. They pay well and they want you to fit in, to do your job and to restrain yourself from asking questions. But the world wants something different. The world needs Linchpins. Linchpin is the person who holds part of the operation together. Without him, everything falls apart. 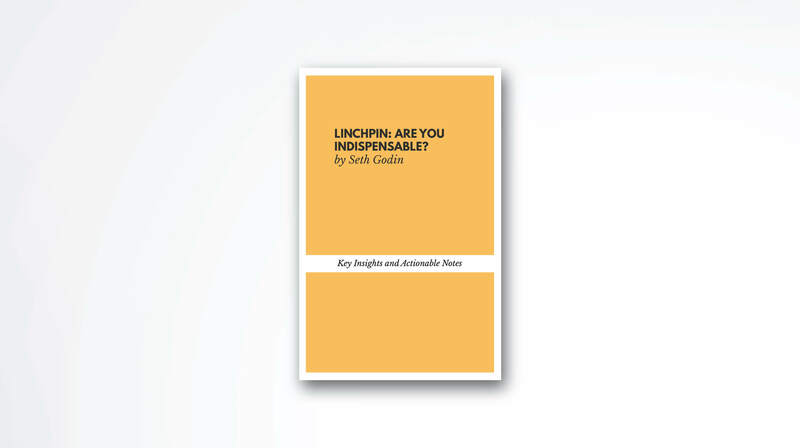 But worry not, you too can become a linchpin – an essential element of an organization – and this book will show you how. At least once in your life, you found a solution to a problem before anyone else. A shortcut that others couldn’t find. Make something to work that wasn’t working before? And you don’t need to win a Nobel Prize to consider yourself a genius. The question is, in which specific area you are a genius? We see people online calling themselves experts. Entrepreneurs. Business owners. We read about them and we think that they’re a special breed. But in reality, they are rarely different than us. The only difference between you and others is that they’ve accepted their genius. They found their area of expertise and they’re doing something to improve upon this. The main problem is that society – the school system, your boss, the government – suppress the genius part inside of us. They want to use us. To mold us in these instruction-following puppets that show up on time and try hard for the “greater good.” For their good, not ours. But you have the opportunity to change things. To get what you deserve and to enjoy what you do. 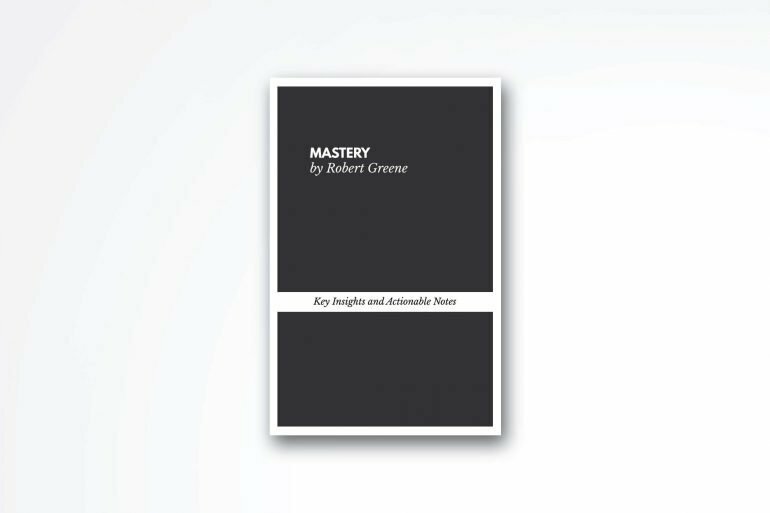 To get started, you first need to unlock the genius you’ve been hiding all these years. To ask yourself: What I’m exceptionally good at? The base efficiency of a factory comes from tiny, easy to execute, tasks that are performed by low-paid people who follow simple instructions. A lot of people are OK with that. Not with the low salary but with the promise that they don’t have to think. That they don’t have to be responsible or take major decisions. Even though a lot of people pretend that they want more power, they’ll immediately settle for fewer responsibilities if that’s an option. Especially nowadays, where we’re surrounded by choices and different things to do in our spare time. But if you can bear the load. If you can make decisions and if you can manage yourself without waiting for others to tell you what to do, you can become an artist. Become your own boss and make the change your want to see in the world today. Big organizations and factories have mastered productivity. They have the capability of satisfying the need for millions of people. But they lack one important thing – a soul. Corporations can make a good product but they fail to connect to their audience on a personal level. Their vision is often vague and unworthy to follow. You, as an individual, have the power to connect with people on a more deeper level and inspire others for a change. Lead. Care. Share your passion with others. This will bring more people together than any of the big brands. If you google “Seth Godin” you will discover his personal site where all of his projects are listed. Google “Pat Flynn” and you will find a site about making money while sleeping. Or in short, his site smartpassiveincome.com will appear. The best website for starting an online business and learning how to earn money passively. What comes up when you type your name? Besides your Instagram page where you share selfies and pictures of your latest meals, is there anything else appearing? After dedicating years of work to improve their craft some people are now incredibly famous. Other people recognize them as experts and agree with what they share. But more importantly, they’re leaving a mark, a digital footprint. If you don’t like what Google says about you, or even worse, says nothing about you, change it. Change it through your actions, career decisions, and social shares. Now everybody can start his own site and purses a meaningful path thanks to the power of the Internet. We can easily picture physical labor. Work that involves heavy lifting, sweat, and long periods of fatigue. This type of workforce is easily replaceable. Basically, everyone with all four sets of limbs can move boxes around a warehouse. You don’t need a college degree to get started and no one will care if you leave. And you’ll want to leave, because they’ll drain you in this job. Even though physical labor is cheap, people who want to blend in and avoid responsibilities prefer it. They earn a minimum wage and they’re exhausted at the end of the day but they don’t want to go the extra mile, to go outside of their comfort zone. That’s why they stay. On the other hand, we have emotional labor. Though you don’t physically sweat, the work you do is the one that really matters. That’s why CEOs and team leaders get paid more. They’re getting paid to think and to plan. To organize others, improve their skills and add value to the lives of thousands of people. If you really want to move forward in your career, you need to focus more on emotional labor. Get better at understanding people, business models, customers, the industry you’re in. This type of work is like an art. And a true artist can change the status quo with creativity and boldness. It all starts with a single step. A step outside your area of comfort. It sounds obvious. I know. You’ve heard it a thousand times already, “Change begins at the end of your comfort zone…” But that’s the reality. If you really want to become vital to an enterprise or organization, you need to start caring more. Because only when you care, you start creating value for others. You start seeing what’s being missed by others. You understand how systems and organizations can be improved and make a bigger difference to the world. Because only when you care enough about your mission, you’ll then be able to inspire others to do the same. Stand out, don’t fit in: People usually try to blend it in the crowd, so they can feel safe. That’s probably a good decision if you participating in a riot. However, if you want to gain more business and make an impression, you need to show your differences and feel good about them. There’s no manual for success: If there’s a clear process and a manual. Any single person can do it. That’s regular work. And no one is getting the big bucks for regular work. If you really want to make a difference and be successful, you need to create your own success. Don’t rely so much on what others tell you, create your own success story. It’s up to you: No one is going to do your job. If you really want to make a change or improve something, it’s up to you to start and do the work. Once you see what needs to change. Once you care enough to make a change. Start working towards making this change to happen. In the vastly growing world, making things and people more obedient and cheaper is the normal thing to do. Big corporations are trying to systematize everything so they can reduce the production cost, thus increase their profit. But in the algorithmic world, everyone is treated the same. Everyone can be easily replaced, sometimes with a single click. Unfortunately, our entire education system is built around creating good factory workers, people who do what they’re told. But since we’ll be soon competing with drones and sophisticated AI, we need to act differently. We need an alternative solution. In Linchpin, Seth Godin prompts us to act. To become artists. Craftsman’s who interact with other people, understand other people. He wants to help us escape the factory-like life, where you’re often dehumanized and considered a cog, and help us find the true artist in us. The person who is capable of making a change in the world.